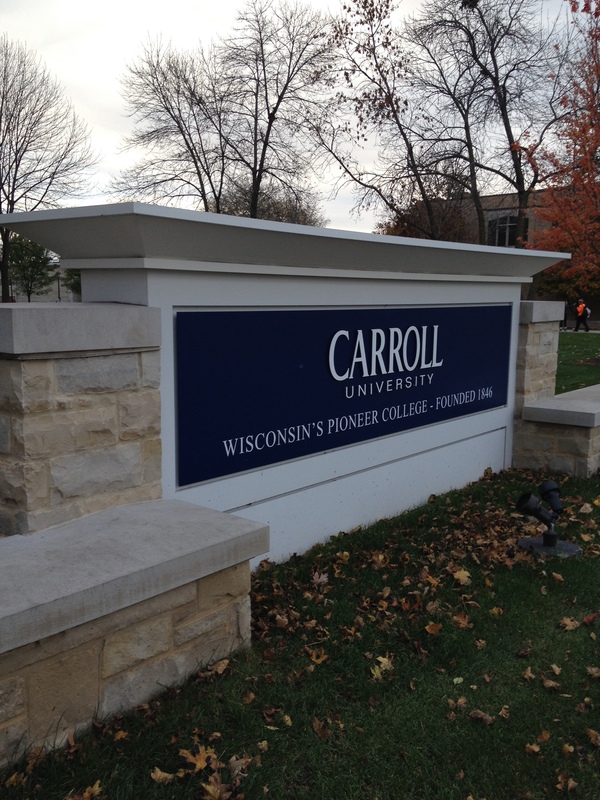 Yesterday I led a job search workshop for students in Dr. Elena DeCosta’s Latin American Civilization class at Carroll University in Waukesha, Wisconsin. After each student designed a resume line that illustrated their language and cultures skills, we did mock interviews in which the interviewer said, “Oh, I see you speak Spanish. Cuénteme de eso.” Students had to prepare and deliver a brief narrative of their language experience. 3- Tell about a turning point. 4- Connect to the present time. To conclude this exercise, I reminded students that they have to be prepared to respond to a similar question about anything and everything they put on their resumes. Because you always have to be able to explain everything on your resume in an interview, it is important to customize each resume you send out to the specific job to which you are applying, making sure there is a good match between the ad and your resume. Sometimes this means removing old or unrelated experiences. One student offered the example of babysitting in middle school–that might be appropriate on your very first resume, but by the time you’re a college graduate, you can probably replace it with more recent and more relevant experiences. This is such a great example of gray area in career preparation. On the one hand, you don’t want to be asked “what does this babysitting job have to do with the international finance position you’re interviewing for?” (unless you really do have an answer ready for that which offers a solid rationale for the relationship between the two). On the other hand, you might never get an interview if hiring managers see temporal gaps in your employment history. 1) leave the unrelated employment off the resume, then when asked about the gap during an interview, explain that you were gainfully employed in job X at company Y, but didn’t include it on your resume because it is unrelated to your current field. This works particularly well if the experience is chronologically early in your work history–it can just look like you started your career a bit later or that you were only working part-time while in school. This is what I love about working with college students–they are always anticipating, matching new information with information they already have, and working out the inconsistencies. And what I hope they learned yesterday is that those analytical skills are important for any workplace so they should be ready to highlight them in job search materials and interviews!